Strong, reliable construction features dual 4 in. channels. Steel cutting edge works to push even hard-packed snow and ice. Abrasion-resistant wear shoes made of AR400 steel. Protect your equipment and push smoothly over divots and uneven surfaces with the multi-section trip edge. Super-durable Tuff Kote power coat protects your pusher for year to come. Pull snow away from buildings, docks, and other tight places with the optional back drag kit. Durable 7 Ga rolled steel moldboard. 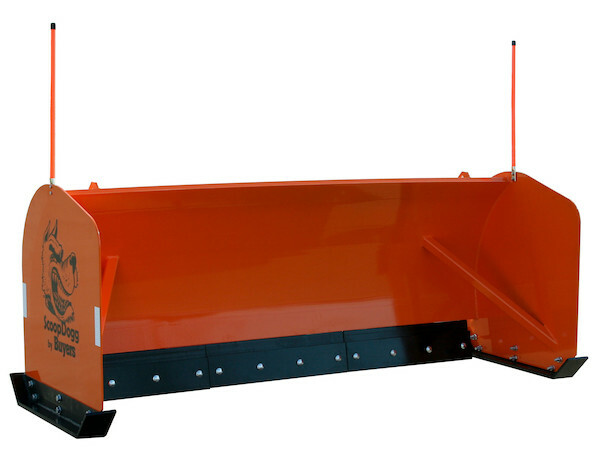 Buyers Products ScoopDogg Skid Steer Pusher with Trip Edge offers the ultimate in maneuverability and snow-clearing power for contractors looking for a trip edge option. It's built to maximize the snow-clearing power of your skid steer. The optional back drag kit combined with the maneuverability of of a skid steer make the pusher an ideal snow and ice removal solution for any space. 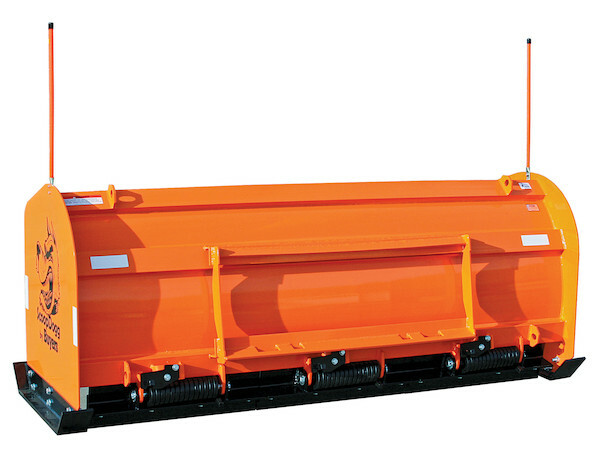 The ScoopDogg Skid Steer Pusher with Trip Edge is is built to handle a heavy load. Dual 4 in. 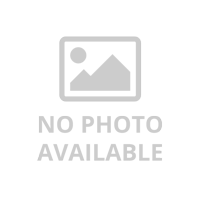 channels provide maximum support and rigidity. The heavy precision-rolled moldboard enhances rolling of snow. The 5/16 in. thick side plates work to contain the snow and make the plowing experience quick and efficient. ScoopDogg pushers come ready to work with extreme duty wear shoes made from AR400 abrasion-resistant steel. The shoes are attached with Grade 5 Hex Head Cap Screws (HHCS). The steel cutting edge works to push even hard-packed snow and ice. The pusher has a multi-section trip edge (three sections for the 8 ft and four sections for the 10 ft). Each 1/2 in. thick trip edge is backed by 3/4 in. square steel torsion trip springs to maximize strength. Pre-loaded brackets keep the springs under tension. This feature allows the cutting edge to scrape heavy, wet, snow but forgive hidden obstacles and divots. Buyers Products Tuff Kote (TM) powder coating process extends the life of your pusher. First, it's sandblasted to remove all impurities and contaminants. Next, it's primed to seal and fill any inconsistencies in the material. A top coat then acts as an additional primer and prepares the surface for the final treatment -- a super durable polyester powder coat to protect your plow from the elements for years to come. Height (Bottom Of Shoe To Top Of Side Plate) 39"
Depth (Front Of Shoe To Back Of Pusher) 37"
Side Plate Support Dimensions 2.00 x 2.00 x .188"
Cutting Edge Dimensions 1.0 x 8.0"